completing a masters degree with first class honours in the mid-1990’s. and has been teaching printmaking at several tertiary institutions. for the new Bachelor of Creative Industries programme and senior academic staff member. 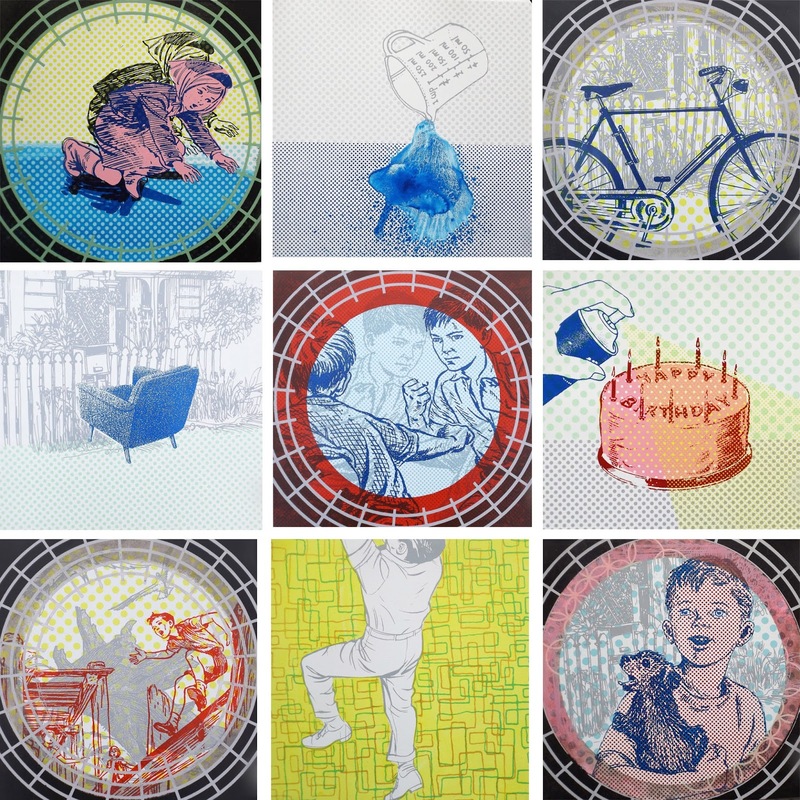 "My works are created with multiple screen-printed illustrations and found object stencils. in my investigation of memory, fiction and interpretation. as child or parent, something I have witnessed past or present, reality or fiction. My work supports and contradicts the reproductive nature of the printmaking process. 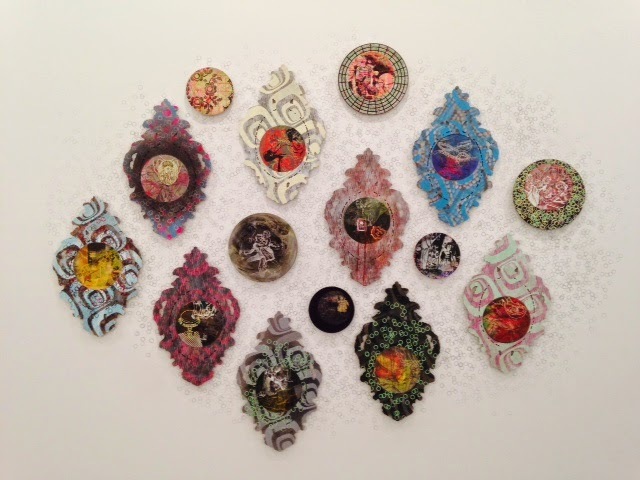 instead I play with repetitive and reproductive printed elements within each work". for her screen printed diptych, Exchanges. in the Molly Morpeth Canaday Art Awards 2016.